The Dukan Diet is making a big splash in the English-speaking world, with many high-profile celebrities being linked to the French weight-loss plan. As the plan gains popularity, it's often compared to the Atkins diet or described as the "French Atkins." We decided to take a closer look at these two low-carb diet plans, to see how far the similarity goes. For the purposes of this comparison I am using Dr. Atkin's New Diet Revolution, the last book actually written by Dr. Robert Atkins before his death, and The Dukan Diet: 2 Steps to Lose the Weight, 2 Steps to Keep It Off Forever. Both of these books are available online and in stores for less than $20.00. Both diets also have companion websites that can help users track their progress and get support from others who are following the plan. Both sites are free to use, but also sell additional products, such as Dukan Oat Bran or Atkins snack bars. Both diets feature four phases. The four phases of Atkins are: induction, ongoingweight loss, pre-maintenance and lifetime maintenance. The induction phase lasts a minimum of 14 days, the ongoing weight loss phases lasts until you are within 10 pounds of your goal weight, the pre-maintence phase is for the last 10 pounds, and the lifetime maintenance phase continues indefinitely. Phase 1: On the Atkins Diet, dieters may only eat poultry, fish, shellfish, eggs, red meat, butter, olive oil or other vegetable oils, cheese and non-starchy vegetables. Dieters must consume no more than 20 grams of carbohydrate per day. On Dukan, followers may only eat "pure protein" foods, such as skinless poultry, lean veal, fish, shellfish, eggs and fat-free dairy products. No other foods, including vegetables, are allowed. Phase 2: Atkins includes the same foods as the induction phase, with the addition of more carbohydrates such as nuts, seeds, fruits and legumes. On Dukan, the second phase consists of alternating five-day cycles of non-starchy vegetables and protein with just pure protein. Phase 3: On Atkins, the pre-maintenance phase allows most foods, in order to help followers of this plan to discover what foods their body cannot handle to maintain weight loss. On the Dukan diet, followers are allowed one daily serving of fruit, 1.5 ounces of cheese and two slices of whole wheat bread in addition to their pure protein. Two times a week, you can eat a cheat meal including wine and dessert. Phase 4: On Atkins, you will find your personal "Atkins Carbohydrate Equilibrium" that will allow you to maintain your weight loss for a lifetime. On Dukan, normal eating is resumed with one day a week devoted to consuming only protein. Both plans encourage exercise and stress the importance of physical activity. Dukan recommends certain specific exercises for target areas, such a loose arm skin. Atkins offers a variety of activities to consider, in addition to small lifestyle changes that you can make to increase the amount of physical activity in your day. Dr. Robert Atkins received his medical degree from Weill Cornell Medical College in 1955. He studied internal medicine and cardiology. Once overweight himself, Dr. Atkins successfully lost weight after implementing a low-starch diet, which was beginning to be researched at the time. He went on to treat 65 of his overweight patients before publishing his first book on the subject, Dr. Atkin's Diet Revolution, in 1972. Dr. Atkins suffered a heart-attack in 2002, but many sources agree that it was caused by a chronic bacterial infection and was in no way related to the Atkins' diet. He later died of an accidental head injury. According to Wikipedia, Dr. Pierre Dukan began his medical career as a general practitioner in Paris before turning his attention to nutrition and weight loss. However, PierreDukanDiet.com (which is not the official Dukan Diet website) claims that Dr. Dukan was a neurologist with a specialization in treating paraplegic children. In any case, today Dr. Dukan is the most widely read expert on nutrition and the physiology of eating in France and has been publishing works on the subject for over 30 years. You will be able to lose weight with either of these diet plans, however both can be extremely difficult to follow. 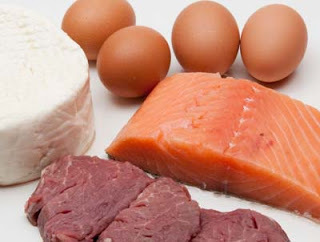 By far, the Dukan diet is much more restrictive and is more extreme, which may result in more rapid weight loss. There have varied conclusions about the safety and efficacy of low-carbohydrate diets, including the Atkins diet. There is no existing research specifically looking at the Dukan diet. Although both diets provide guidelines a rules for life-long maintenance, many people may find these guidelines difficult to follow, leading to weight gain once normal portions of carbohydrates are re-introduce.